The Bothy at Ivy Cottage, is a beautiful, centuries-old stone Shepherd’s Hut, situated in the hamlet of Red Path just a short drive to the popular town of Halthwhistle, with its busy train station and local buses connecting the town, and the area, to Newcastle and Carlisle. 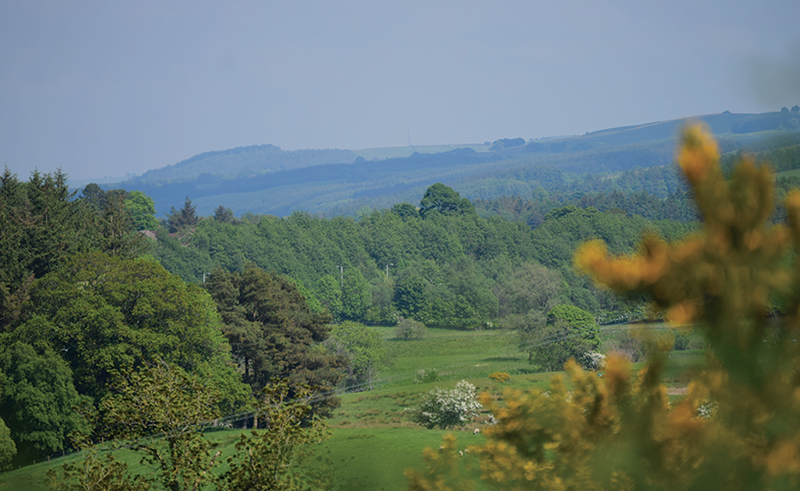 The Bothy is surrounded by dramatic countryside, woodlands and magnificent views as far as the eye can see, and sandwiched between The Kielder Forest, Northumberland National Park and the North Pennines AONB. It’s also the ideal place from which to visit almost 2000 years of history on Hadrian’s Wall, less than 3-miles away, and close by to the Roman Forts of Vindolanda, Chesters, & Housesteads. The historic towns of Hexham and Corbridge are a short drive away, and further afield you can enjoy Morpeth, Rothbury, Alnwick, and along the East Coast to Bamburgh Castle and Holy Island. There is an abundance of pubs, quaint tea shops and local restaurants serving great local produce to Michelin starred food within easy driving distance. 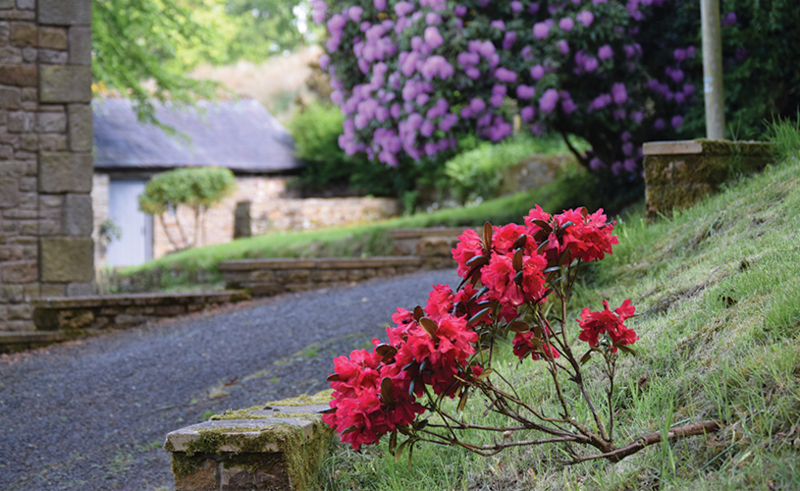 With a wealth of history, wonderful castles and hundreds of miles of trails, walks, cycling routes - The Bothy at Ivy Cottage is the perfect bolthole to explore this extraordinary County. We look forward to welcoming you to our ‘escape to the country’ and to making sure you enjoy your visit so much that you’ll want to return! What a wonderful base for exploring beautiful Haltwhistle, walking Hadrian’s Wall and discovering the local heritage sites close by. 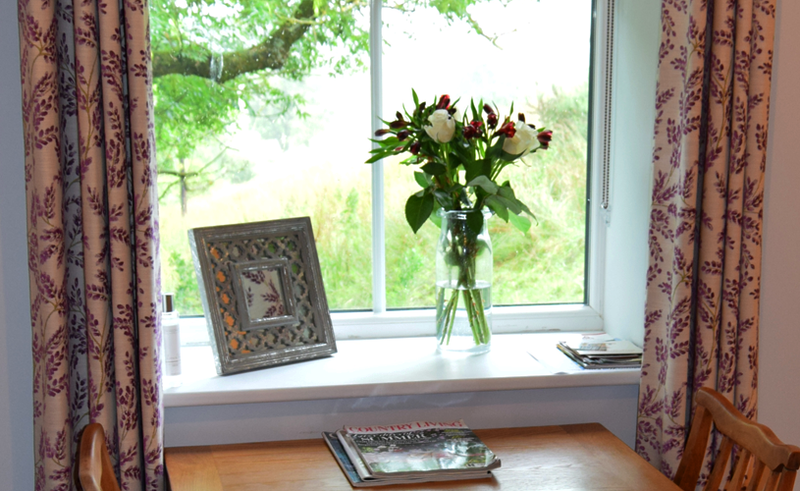 The Bothy at Ivy Cottage was a warm, comfortable haven which we looked forward to returning to each evening. The attention to detail and provisions were first class, breakfast was a treat and the friendliness and kindness of Fearga and Graham in both the booking and pre-holiday enquiries and during our stay made our holiday both relaxing and memorable. We’d return in a shot!” The Boltons, Church Fenton, North Yorkshire. 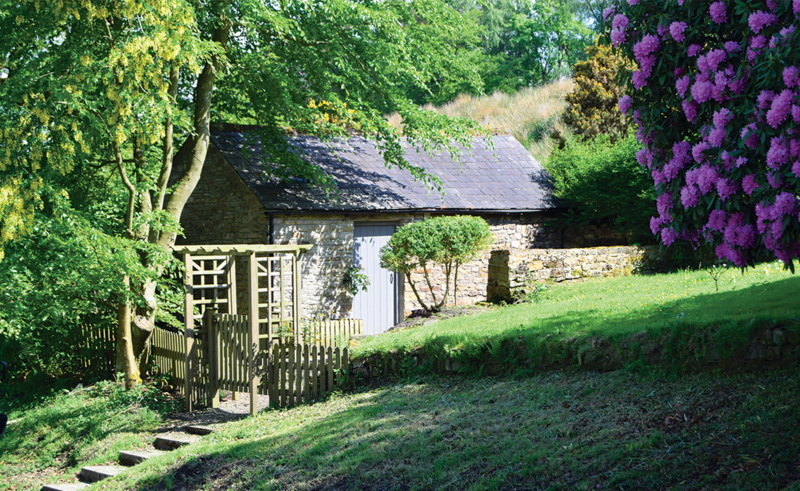 The Bothy at Ivy Cottage is the perfect bolthole to explore this extraordinary County. 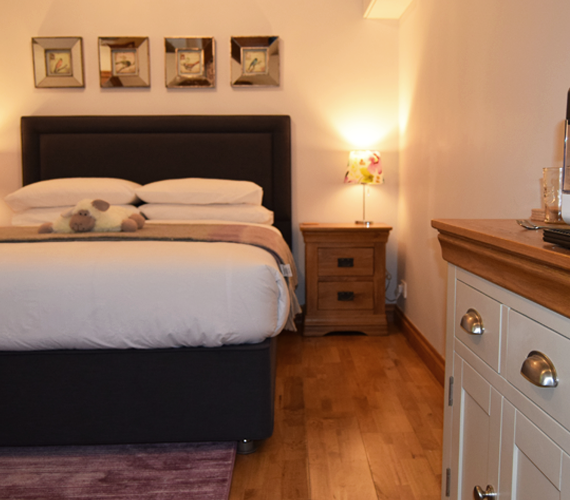 Recently refurbished, characterful King-size bedroom, with en-suite Shower & Toilet. Enjoy our pretty outdoor sitting area, with table and chairs, a bench seat at the front of the cottage to look out at the sweeping, beautiful countryside views.